The workers party-list group Partido Manggagawa (PM) today claimed that one of its nominees for the coming elections is the target of a “smear job” by Philippine Airlines (PAL) due to a pending labor dispute over the layoff of 117 employees. Gerry Rivera, president of the union Philippine Airlines Employees Association (PALEA), vice chair of PM and one of its party-list bets, has been charged with estafa as reported in the Inquirer today (http://newsinfo.inquirer.net/736662/party-list-bet-faces-estafa-raps). “Since PAL is unable to justify the latest retrenchment, the non-implementation of the terms of a Settlement Agreement and the lack of collective bargaining negotiations for the last 17 years, it is instead discrediting the leaders of PALEA and PM, which are steadfastly fighting contractualization at the national flag carrier,” argued Rene Magtubo, PM chair and another of its party-list nominees. “The estafa complainant is barking at the wrong tree because he is in fact an attack dog of PAL. Unlike the complainant, the rest of the 600 PALEA members who are subject to the Settlement Agreement are protesting and demanding that PAL implement the re-employment provision of the deal,” Magtubo averred. 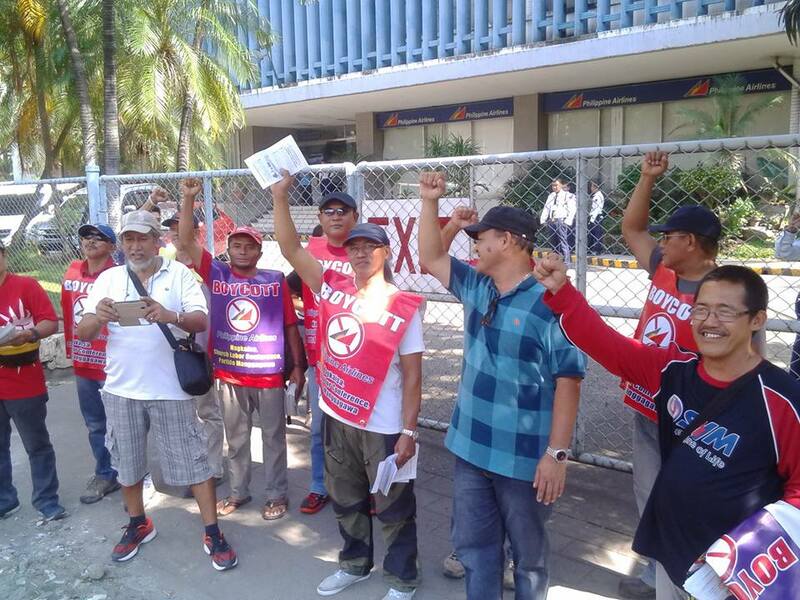 The labor row over the new round of firings at PAL is now the subject of a notice of strike filed by PALEA. A planned strike by PALEA over the undas holidays was deferred due to the ongoing conciliation meetings called by the Department of Labor and Employment (DOLE). Today a congressional inquiry by the House of Representatives Labor Committee headed by Rep. Karlo Nograles is being held in Davao City. Rivera and other PALEA officers are attending the hearing this afternoon together with PAL employees in the Davao airport who were affected by the mass layoff. PALEA is demanding the recall of the latest retrenchment and the reinstatement of the 117 employees fired. Absent a resolution to the dispute over the mass layoff, PALEA is planning a strike later this month. Magtubo recalled that the estafa complaint was preceded by the filing of a petition at the DOLE by six PAL employees to dismiss the PALEA notice of strike. “Those who filed the DOLE petition were sore losers in the union elections early this year that was handily won by Rivera and the current PALEA officers. Further, they are scabs willing to do management’s bidding. All of these intra-union cases are upon the orders of management. PAL through a board resolution appointed an attorney-in-fact to represent the company in the intra-union disputes well before these cases were actually filed,” he explained.